American Diabetes Association Alert Day, which is held every fourth Tuesday in March, is a one-day, “wake-up” call asking the American public to take the Diabetes Risk Test to find out if they are at risk for developing type 2 diabetes. At the end of 2010, the ADA surpassed their goal of inspiring one million Americans to be a part of the American Diabetes Association’s movement to Stop Diabetes®. 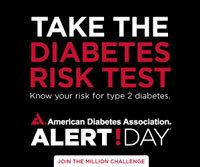 To continue this momentum, the Association is asking the public to “Join the Million Challenge” by rallying one million people to take the Diabetes Risk Test and finding out if they are at risk for developing type 2 diabetes beginning on Diabetes Alert Day on March 22, 2011 through April 22, 2011. 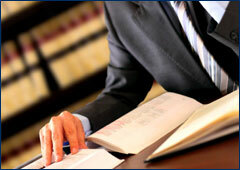 Banker Lopez Gassler has answered this call. Employees across the state will join together to participate in tomorrow’s rally. Why is Diabetes Alert Day important? Diabetes is a serious disease that strikes nearly 26 million children and adults in the United States. An additional 79 million, or one in three American adults have pre-diabetes, which puts them at high risk for developing type 2 diabetes. Diabetes is called a “silent killer” because a quarter of those with the disease – 7 million – do not know they have it. For many, diagnosis may come seven to ten years after the onset of the disease. Therefore, early diagnosis is critical to successful treatment and delaying or preventing some of its complications such as heart disease, blindness, kidney disease, stroke, amputation and death. Who should participate in Diabetes Alert Day? Everyone should be aware of the risk factors for type 2 diabetes. People who are overweight, under active (living a sedentary lifestyle) and over the age of 45 should consider themselves at risk for the disease. African Americans, Hispanics/Latinos, Native Americans, Asian Americans, Pacific Islanders and people who have a family history of the disease also are at an increased risk for type 2 diabetes. Studies have shown that type 2 diabetes can be prevented or delayed by losing just 7% of body weight (such as 15 pounds if you weigh 200) through regular physical activity (30 minutes a day, five days a week) and healthy eating. By understanding your risk, you can take the necessary steps to help prevent the onset of type 2 diabetes. If you would like to join Banker Lopez Gassler and countless others across the nation, please visit go online to www.stopdiabetes.com starting March 22nd. Take the test, Know the score!